We love the idea of taking a treasured item from our childhood and being able to make these simple designs for your home that everyone can enjoy. 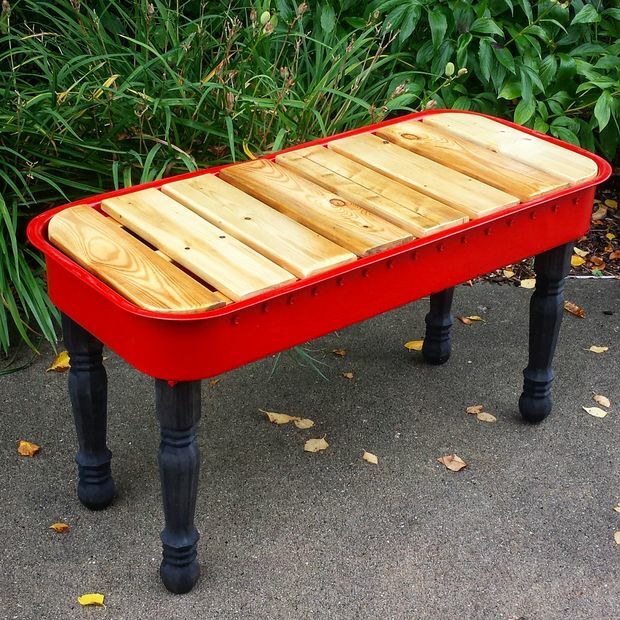 These crafty upcycled red wagon projects can be put together in a day using items you might have around your house or shed! Cleaning out your home can lead to great finds! 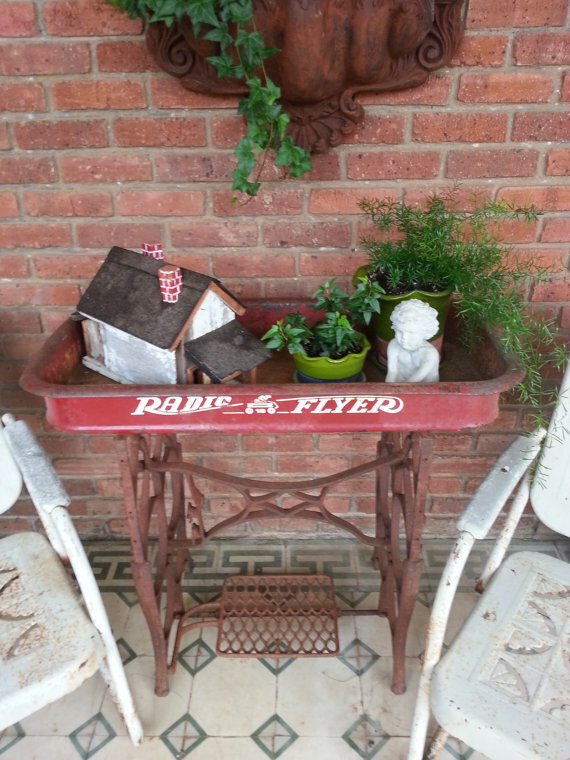 Upcycled red wagons are a great way to repurpose these old childhood items to create new treasures for your home. Sometimes it’s hard to part with items from our past. 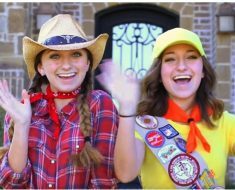 This is a super way to take those special memories and give them new life! Imagine how cute this would look in front of a sofa! The distressed, reclaimed wood on the top match the rustic base and give it even more character. 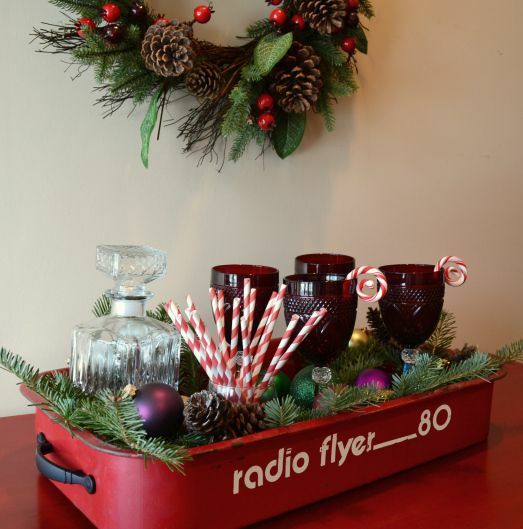 Make this industrial masterpiece, and you’d have such a creative way to display beverages for guests! And what a conversation piece! 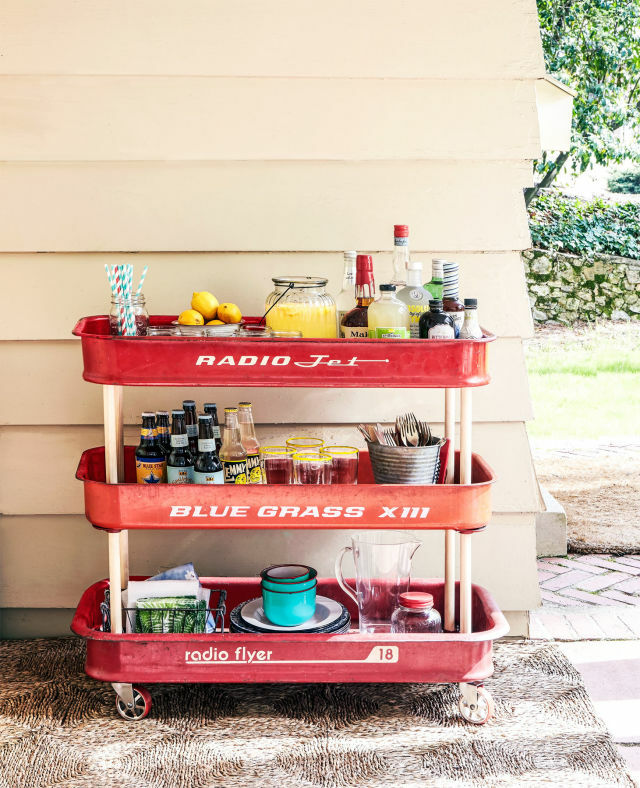 This triple-decker cart has more storage than a traditional cart. . . and 3x the character, too! Grab some battery operated candles, and rope yourself the cutest lighting fixture! 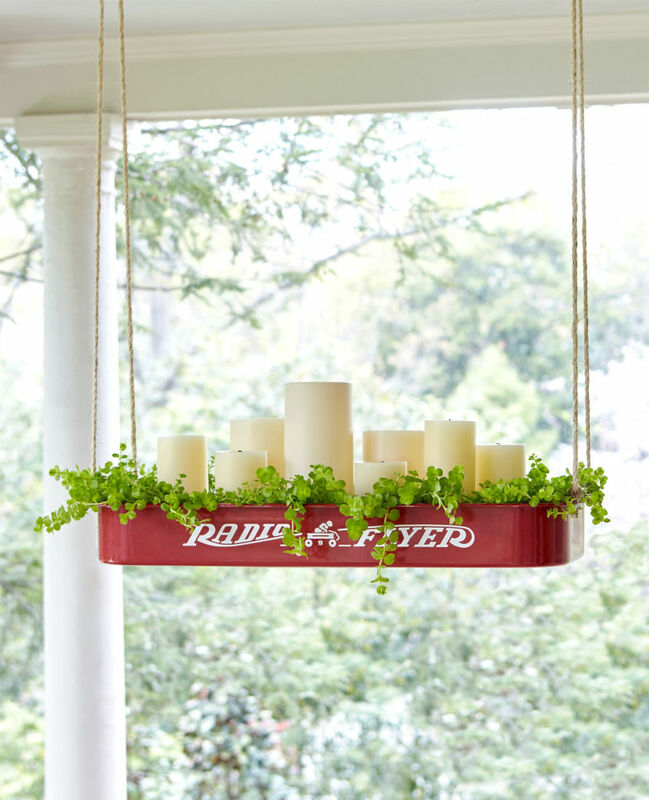 Hang from a porch, a tree branch or your dining room ceiling for instant charm. Add some simple wooden slats and furniture legs, and get ready to pull up a seat or prop up your feet! 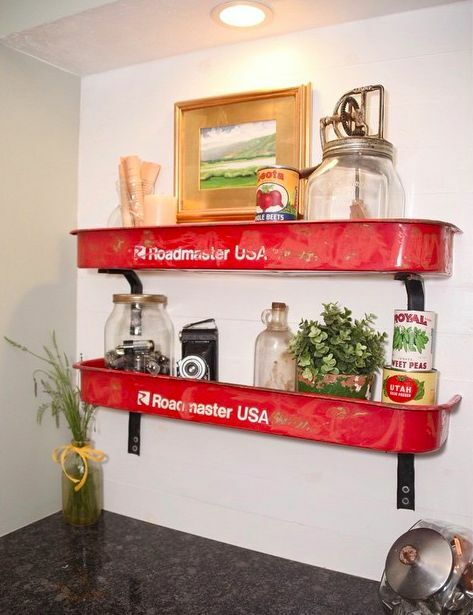 Your vintage treasures will feel right at home nestled in this handy wall shelf. 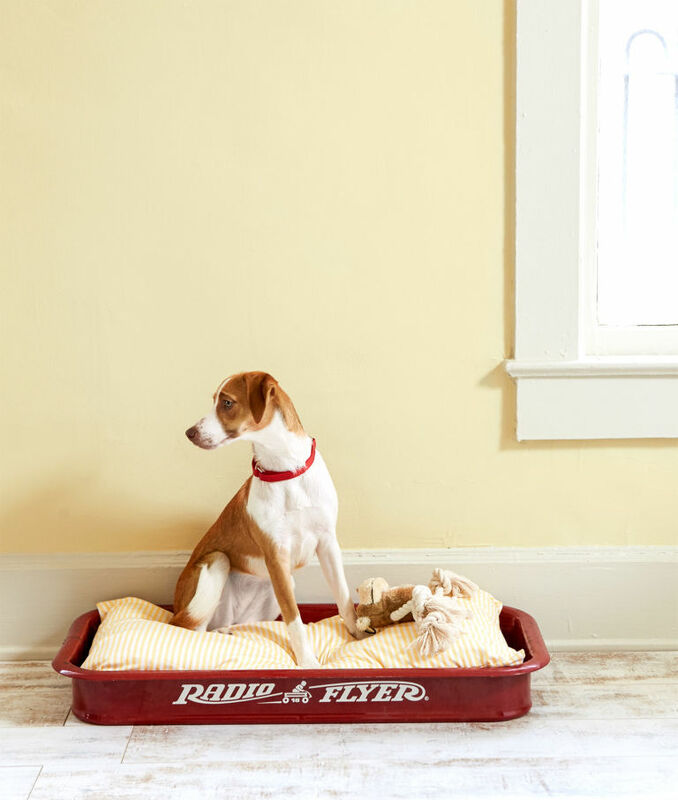 Give your pup’s favorite nap spot an instant makeover with this easy project! Simply remove wheels and add pet bed! 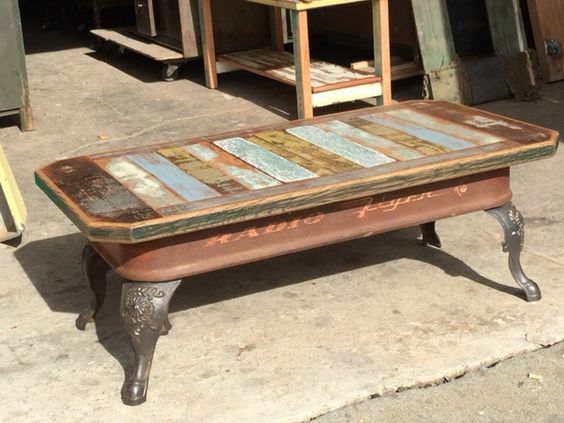 How many times do you see these old sewing machine bases hiding in your favorite thrift store (or in your own attic)? What a unique look you’d have if you top it with an equally vintage wagon! Practical and adorable, too! What a clever way this is to serve your guests on the back deck. 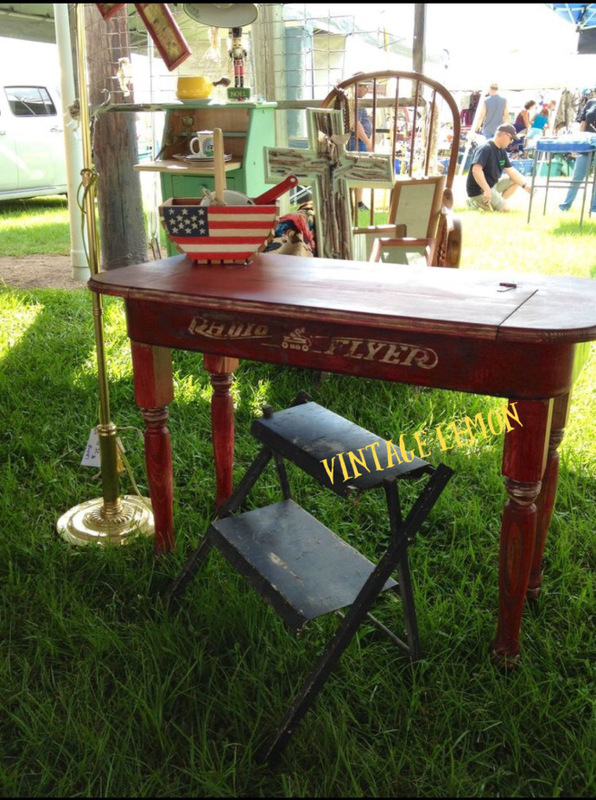 This wagon desk with its distressed top and matching legs makes the cutest little desk. 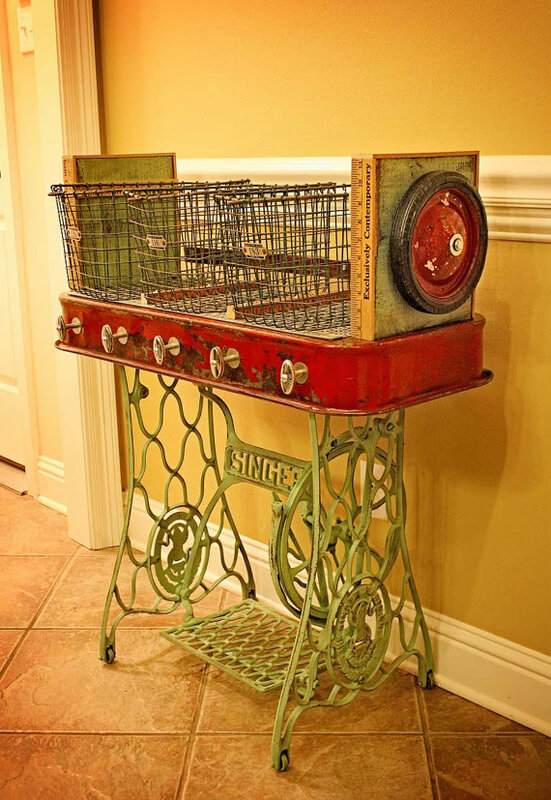 I could also see this working in a foyer as a place to drop off keys and mail–so cute! This project requires no handyman and only a little bit of a green thumb. 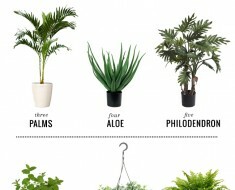 Add potting soil and plants and welcome Spring in style! 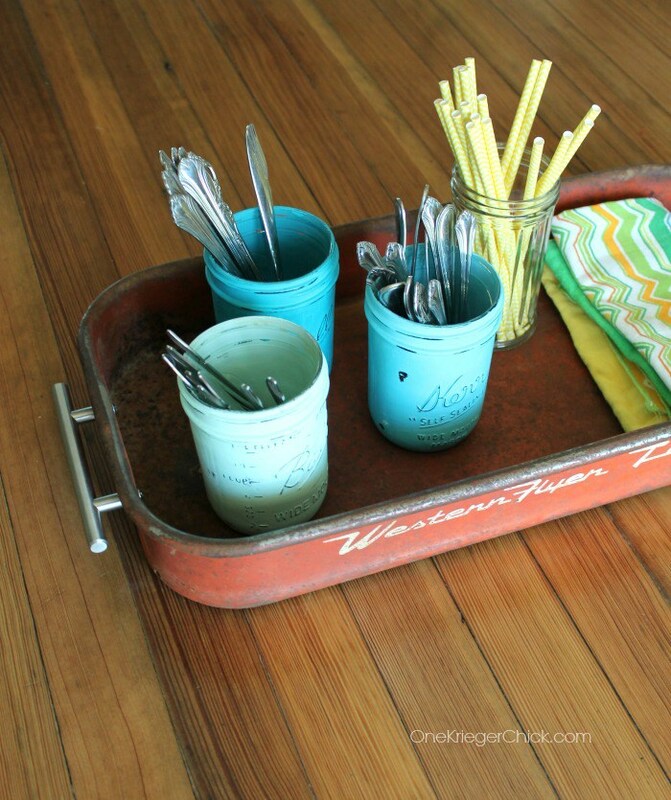 This nifty project uses simple plumbing supplies you could pick up at the hardware store. And the results are fabulous! 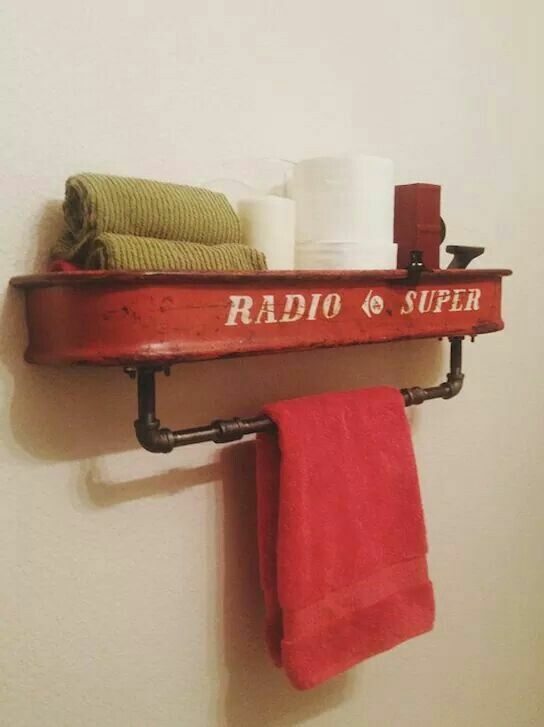 Added bathroom storage and a place to hang your towel, too–love it! 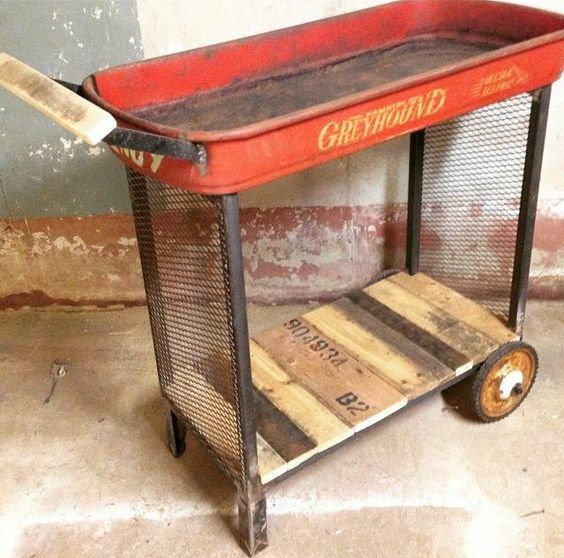 This wagon converted to a tray would have endless possibilities! 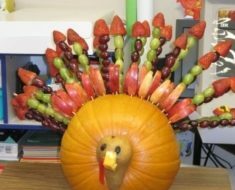 Use it as a seasonal centerpiece (how cute would this look with Easter eggs & flowers?) or a serving tray. 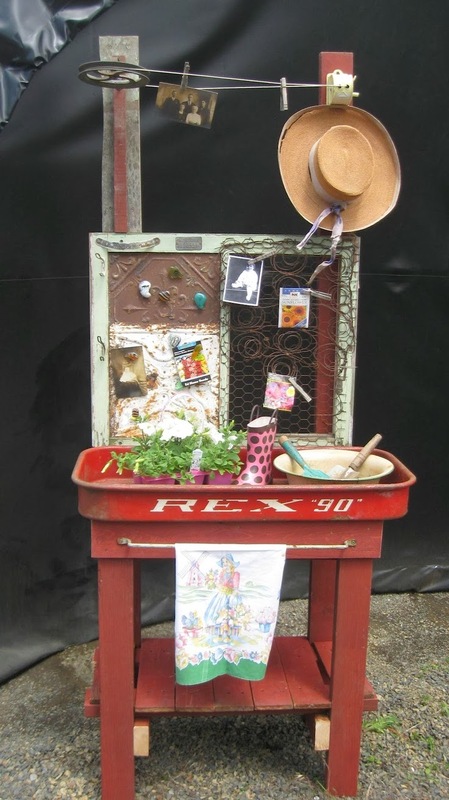 This potting bench is literally oozing with charm while keeping all your garden things super handy. 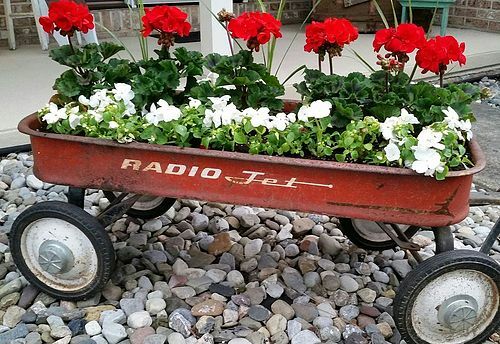 This creative DIY uses the cute wagon wheels, too! The added baskets on top would be great in the mudroom to catch mittens or mail. 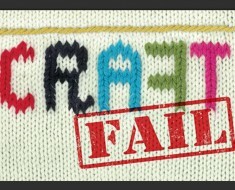 DIY Fails – ‘Cuz We ALL Need A Good Laugh! 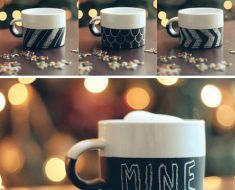 DIY Chalkboard Mug – So Neat!